Most times after flashing/upgrading your Qualcomm Snapdragon devices, it may end up having zero signal from your network provider which is said to be effect of corrupted imei number. When you input *#06#, you will discover that the space where your imei number is supposed to be, now shows null or invalid. This tutorial below will guide you on how to fix imei problems on Qualcomm devices. HOW DO I FIX IMEI PROBLEMS N QUALCOMM DEVICES? We all know Changing of imei number is illegal so your doing this at your own risk. If your doing this for the first time please Select Enter Ftm, Write Imei1, Write Imei2, Change 2 Online and Sync Efs only. Now click the Save button below. Click the Play button or Press the Enter key twice. After that a pop up will appear for you to input imei number (this number is usually found at the back of the device) when you open the back of your phone you should see the numbers usually on battery or by it. 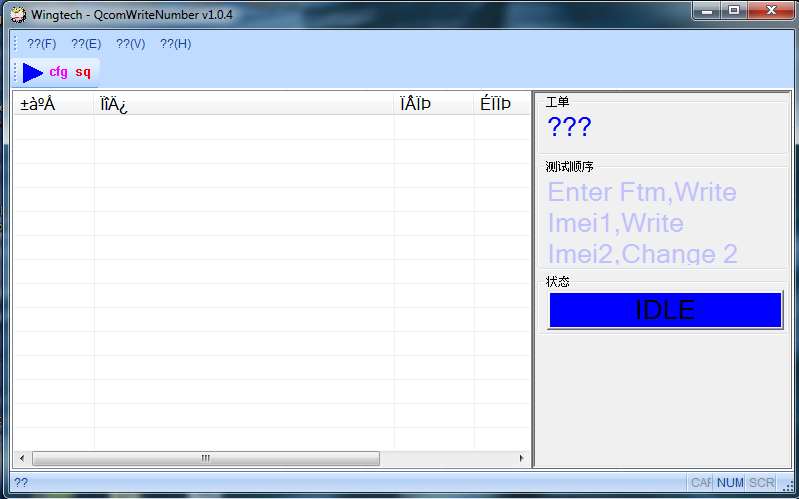 Input any of the 15 digit imei number of your device on the spaces provided. Turn off device then hold volume up + power button to enter factory mode. Connect the smartphone to PC with USB and press Enter Key twice on PC. When you see the message pop that says "PASS", know that the imei number has been fixed successfully.